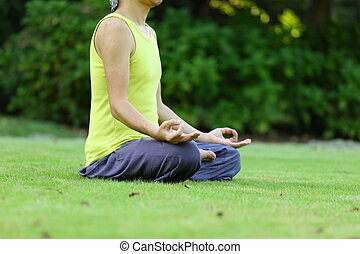 Meditation on a lawn. 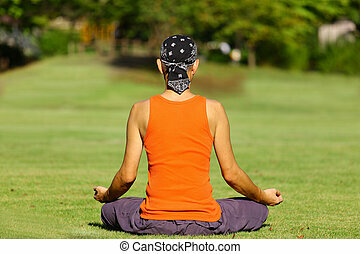 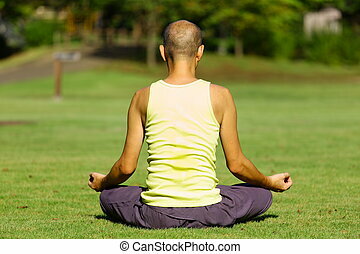 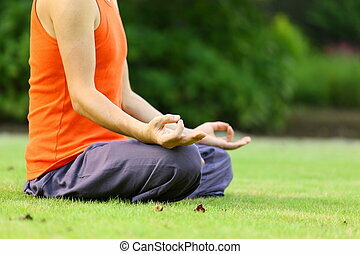 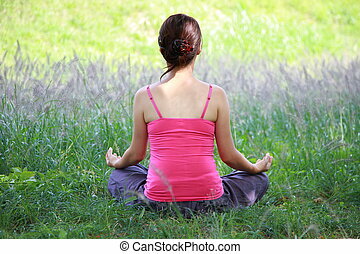 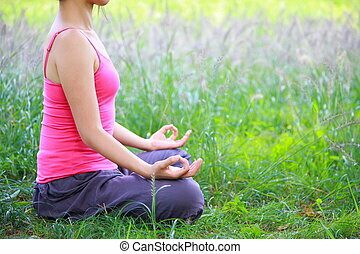 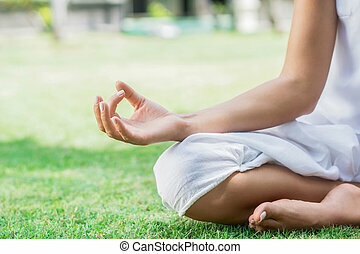 Woman sitting down meditating on a lawn. 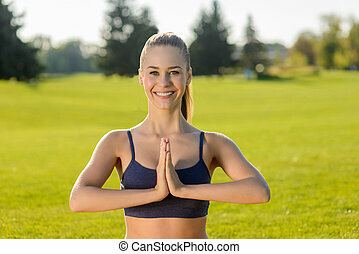 Girl smile and meditates on the street. 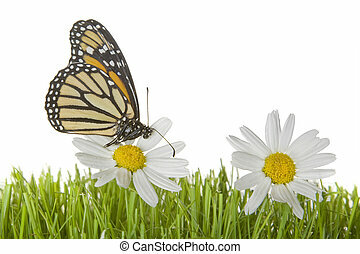 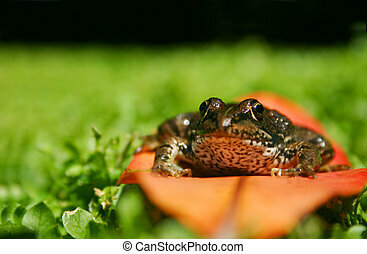 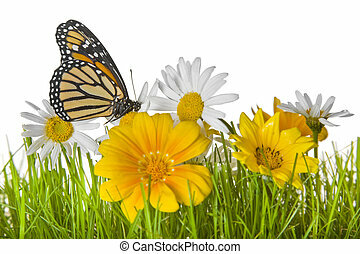 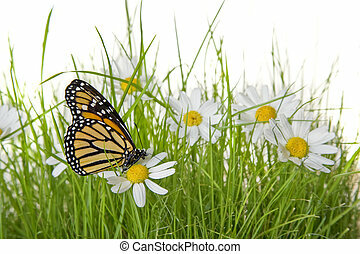 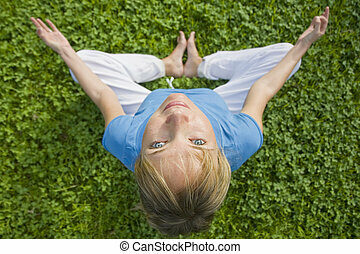 Girl relaxes on a green lawn. 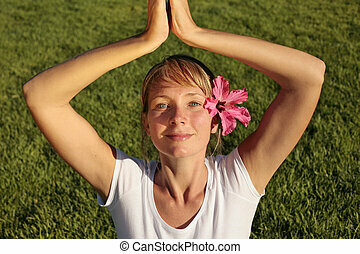 Yoga classes. 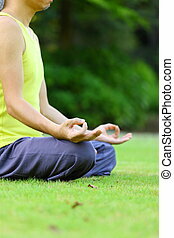 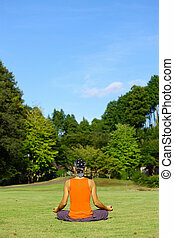 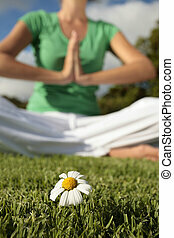 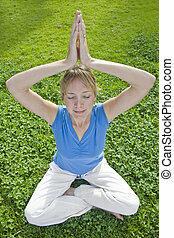 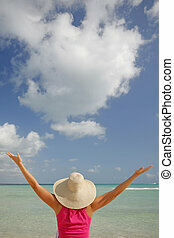 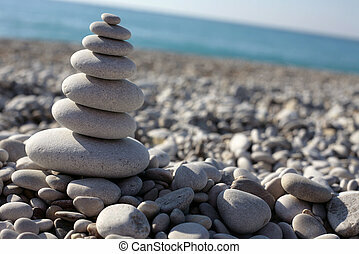 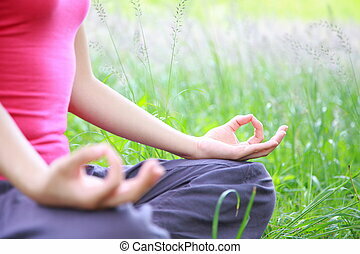 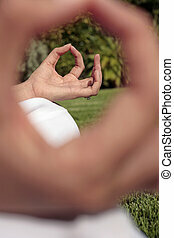 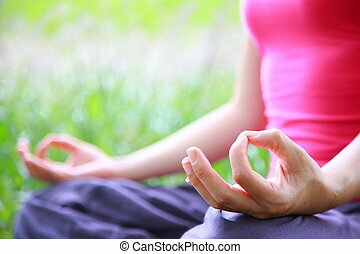 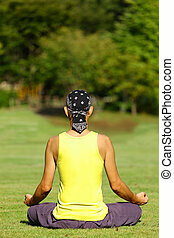 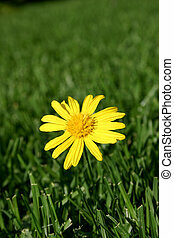 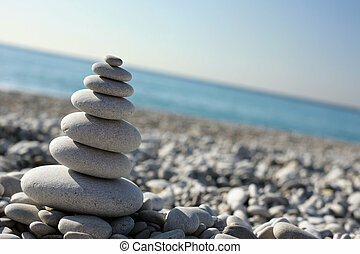 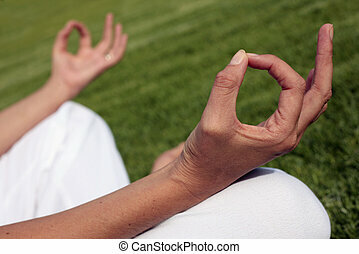 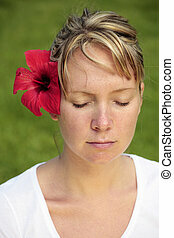 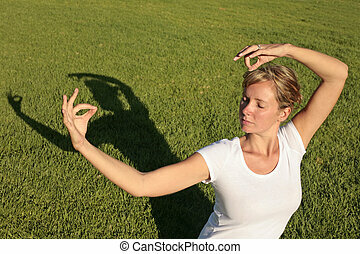 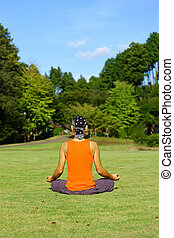 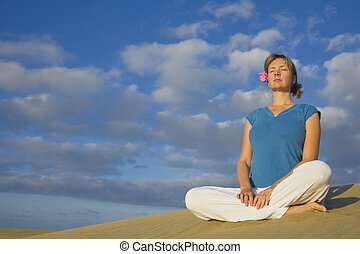 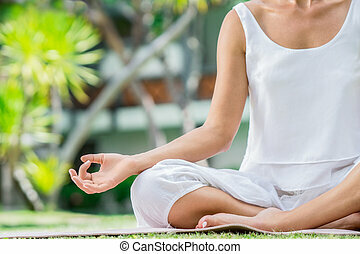 woman sitting on a lawn and meditating calmly alone. 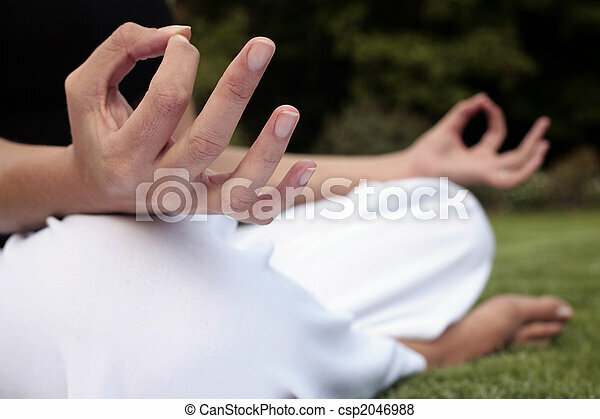 A different way of looking at a woman doing yoga. 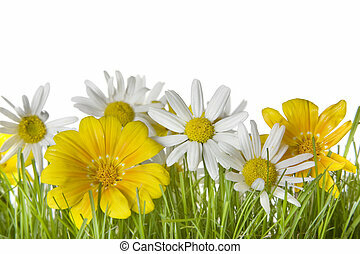 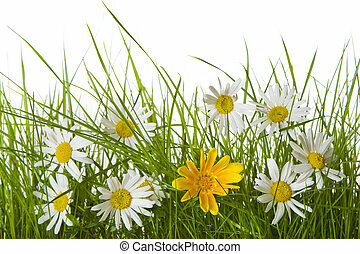 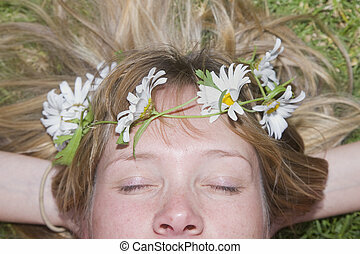 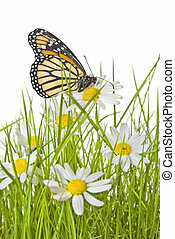 Smiling lying on a lawn with a daisy chain around her head.